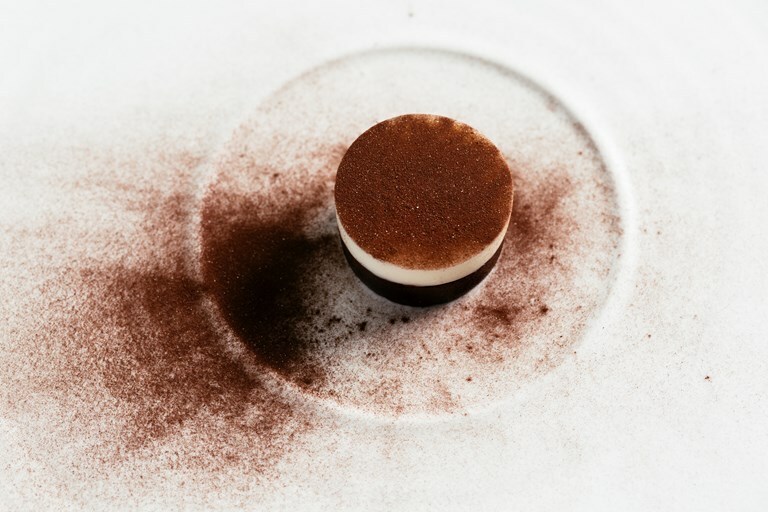 Sat Bains' stunning dessert is a gorgeous blend of chocolate mousse and yoghurt, finished with a dusting of cocoa powder with a hint of cumin. 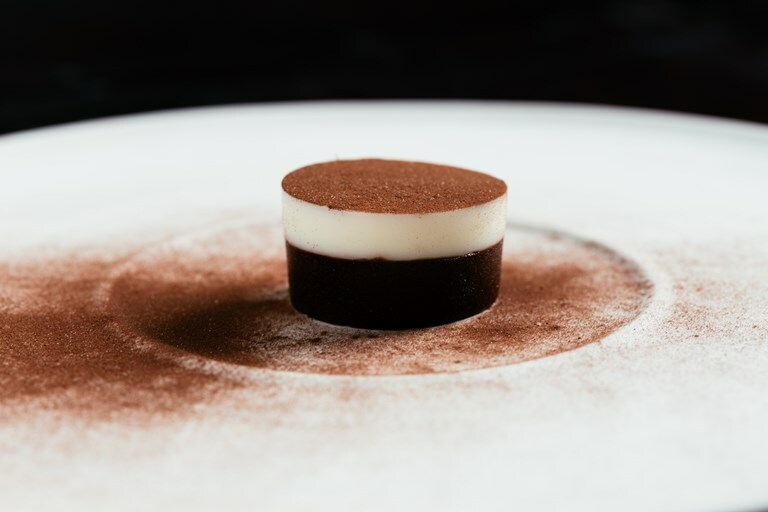 This dessert is all about precision, but not too tricky to pull off given a little patience. In an unassuming industrial estate just outside Nottingham, Sat Bains cooks incredible tasting menus to a two-Michelin-starred level.